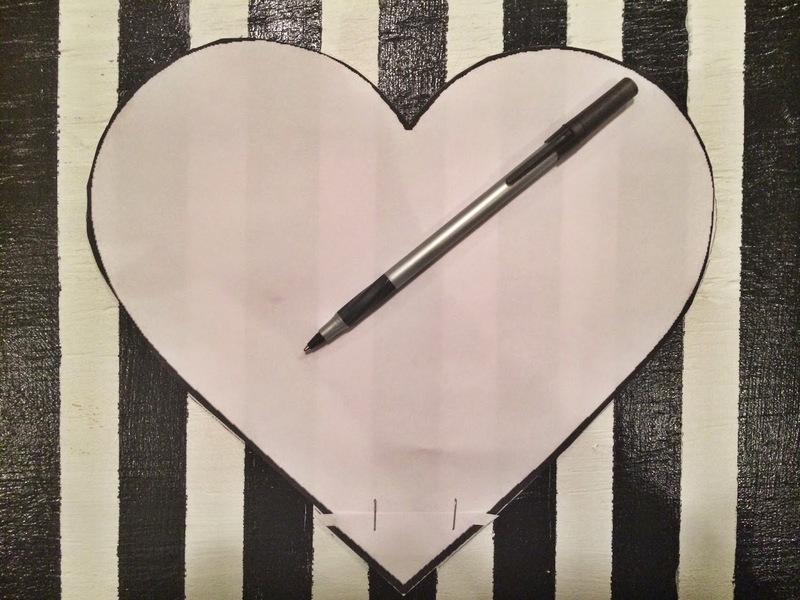 Like the other Valentine’s projects on this blog, this next and final Valentine’s Day project for the year is relatively inexpensive and super easy to construct. 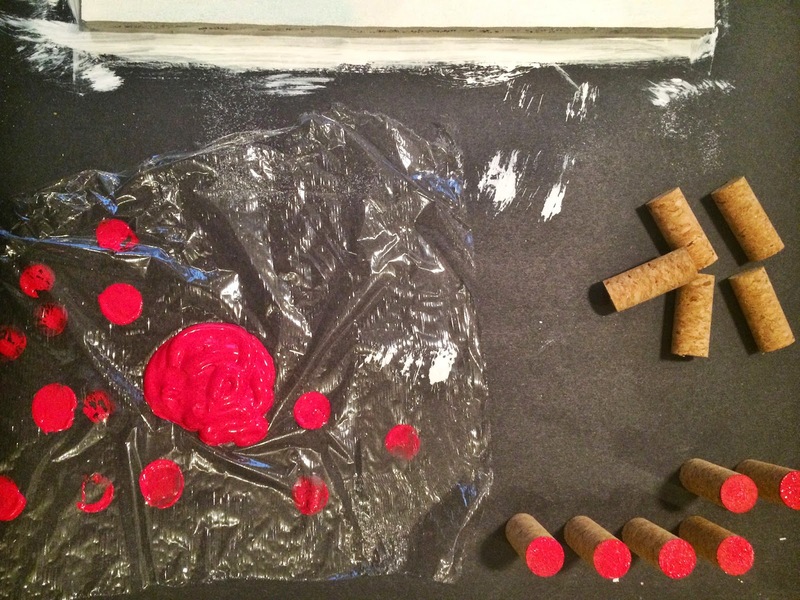 The one pictured below required 40 corks to make it. 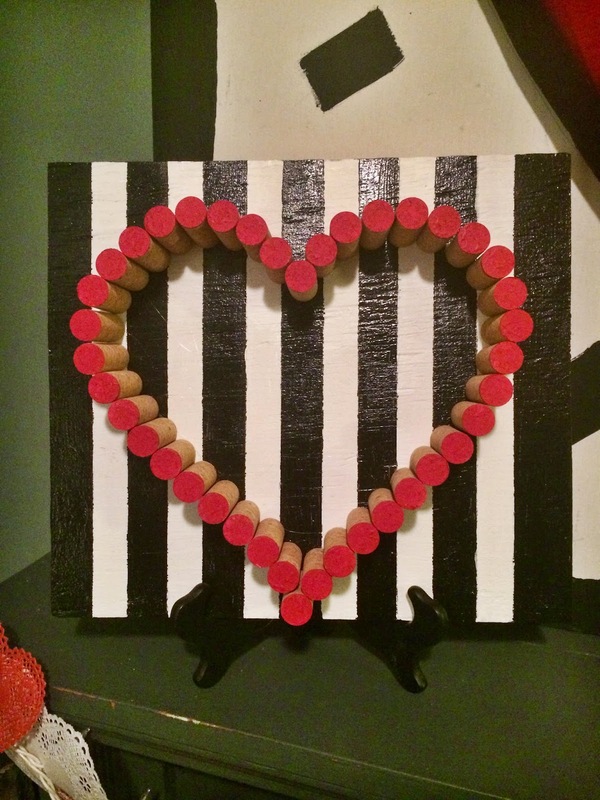 So, if you are a wine drinker, you’ll love this craft. I certainly love the boldness behind this beauty. 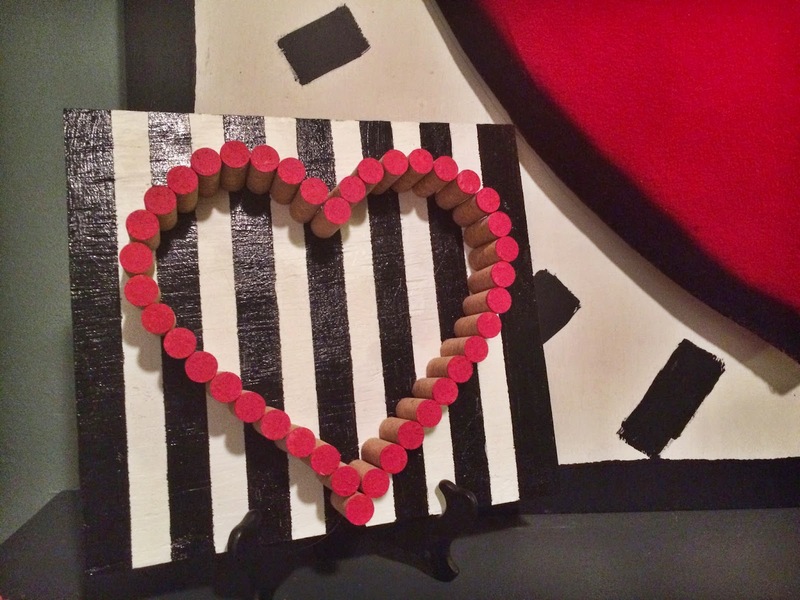 It’s graphic lines make the cork heart pop! 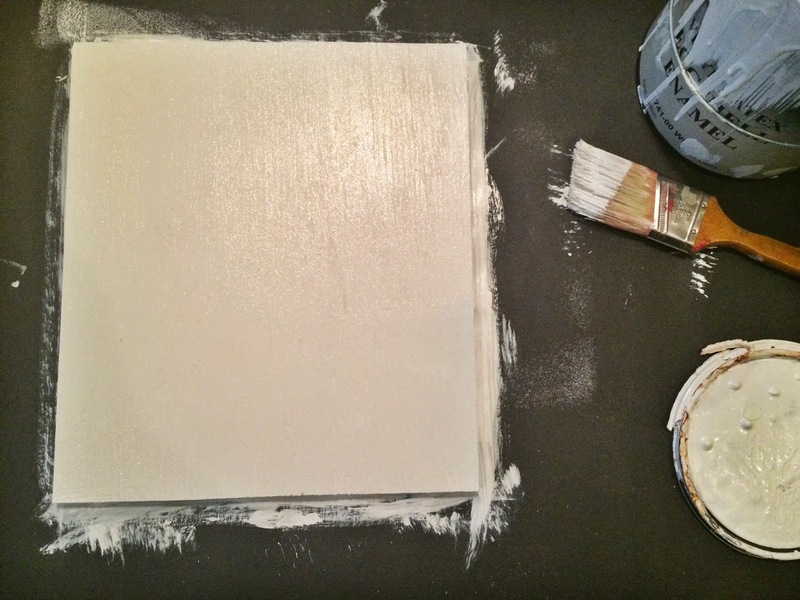 First, paint the front side of your board white. Make sure to smooth out any drips along the sides. Let dry. 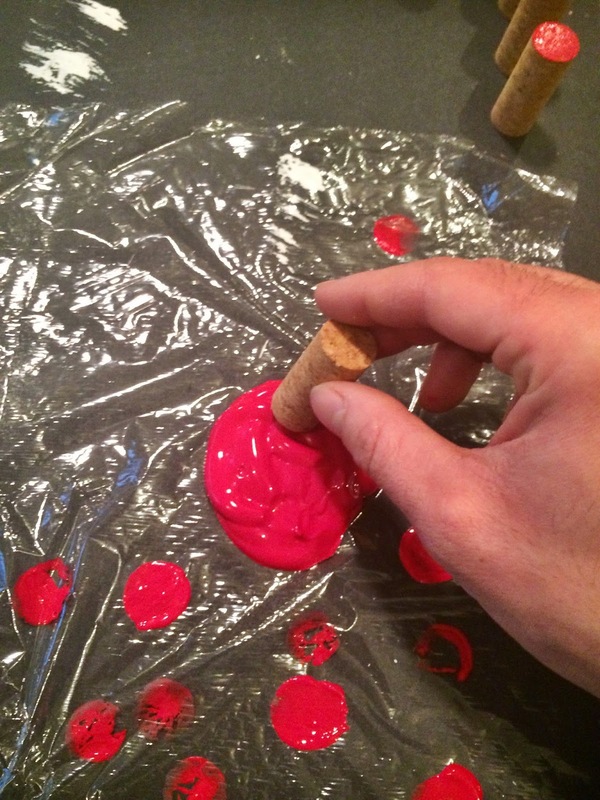 Next, dip one end of each cork into red paint. Dab off excess. Set aside. Let dry. 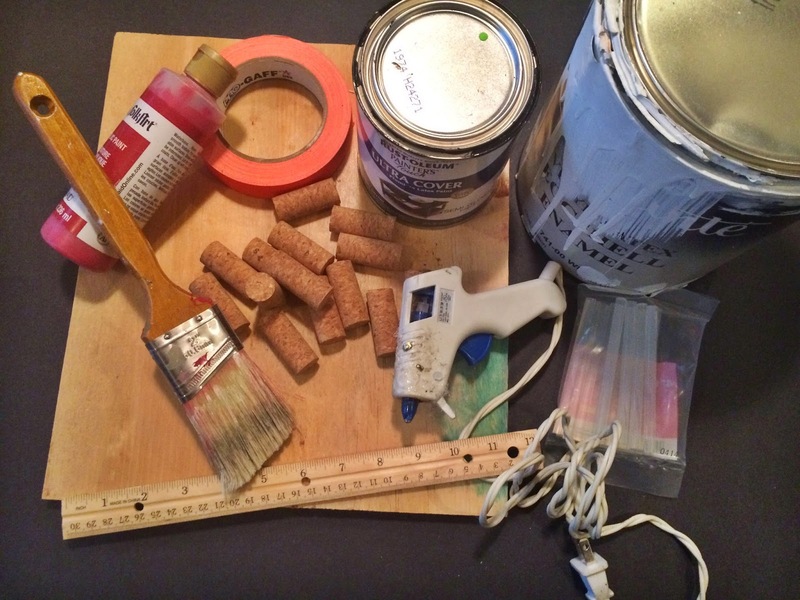 Once the white paint has dried, you’ll begin to lay down your painters tape lines. Mine were roughly two inches apart. You can make yours as wide as you like. 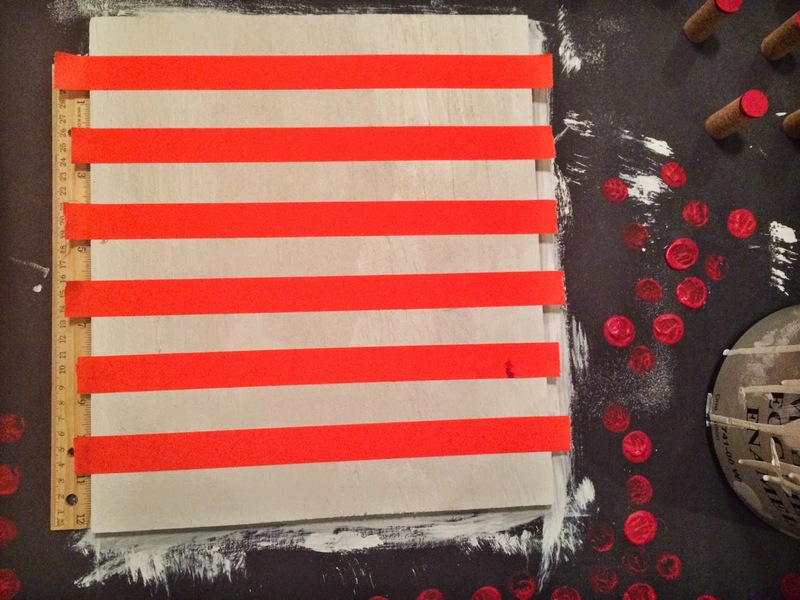 Paint the space between your painters tape lines black. At this point, I also painted the sides of my piece black. Once dry, carefully remove tape. 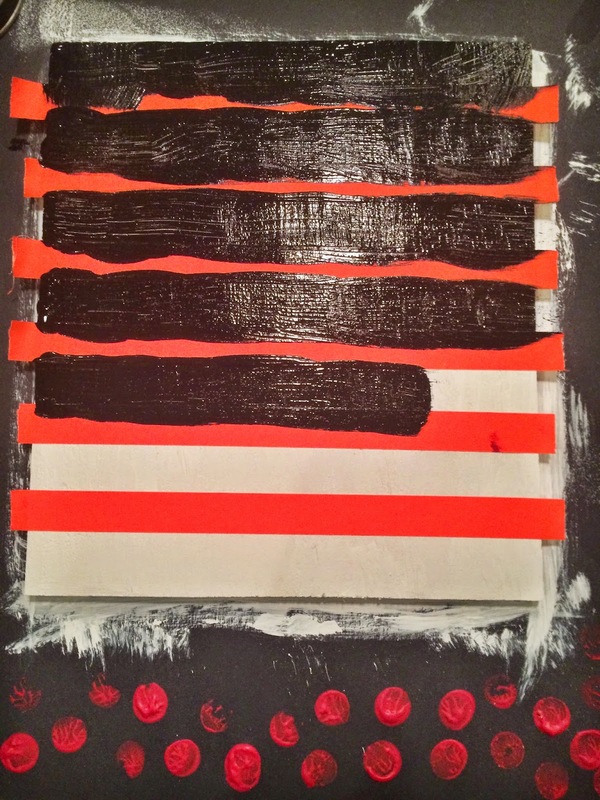 Now, you’ll need to decide if you want your stripes horizontal or vertical. I wanted mine vertical, so I flipped the board and then traced a heart shape onto it. You can free hand yours if you like. I found mine on the internet and enlarged it to my desired size. 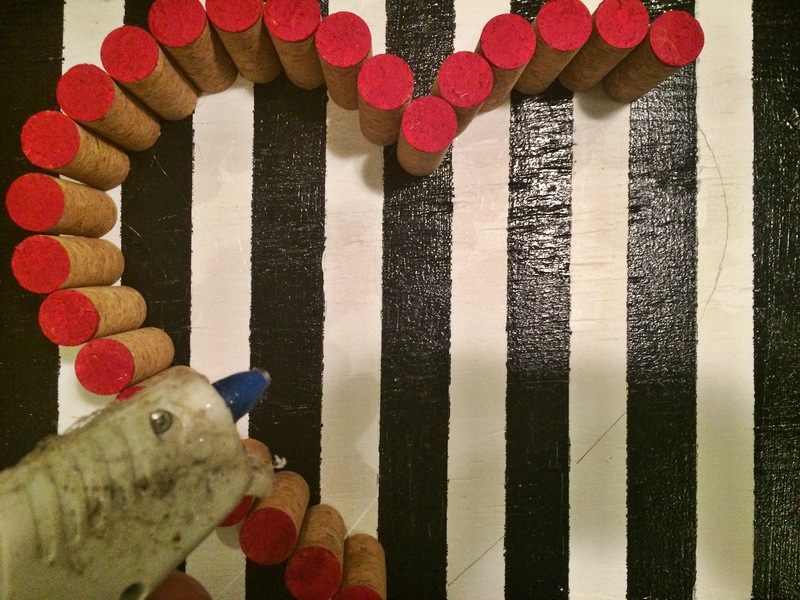 Place a small dot of hot glue on the unpainted end of each cork and begin placing them along your heart pattern until your shape is completed. Wow! My glue gun is dirty. You can tell I use it a lot. And there you have it! I placed mine on a picture stand, but you could easily add a sawtooth hanger on the back of yours if you would like to hang it on the wall. Personally, I think this would look great in any home year round.